Following last year's storming sell out, this year's Zero Degrees Big Comedy Night Out at the British Legion, Louth on Friday 22 June, promises to be a rip-roaring evening of laughter and hilarity! 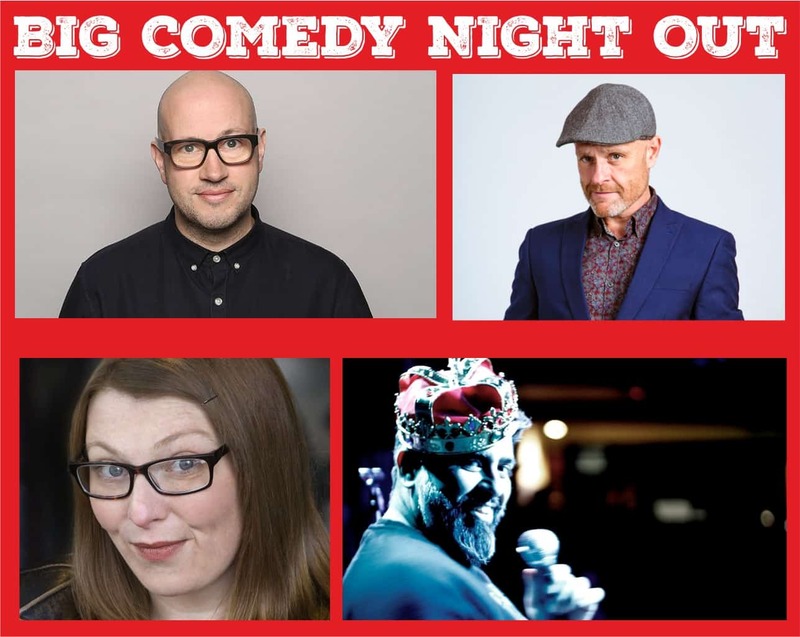 Four nationally and internationally renowned comedians are coming to town, and the glamorous guys and gals of Wildwood Bar will be serving the finest cocktails and drinks throughout the night, offering a spice of fun at seriously good prices! Doors open at 7.30pm, with talented and experienced MC Sam Avery introducing the show. Nina Gilligan's observational story-telling style of humour will draw you in to her hilarious world, and Lovdev Barpaga will charm you with his mix of daft wordplay and good old-fashioned jokes. Eddy Brimson is one of the UK circuit’s most in-demand headline acts, and having performed all across the globe, from France, Norway, China and Australia, he’s bound to be a hit with Louth comedy fans. Tickets are available now online £13.16 from Eventbrite - click to buy tickets, or from Off The Beaten Tracks Record Shop in Louth for £12. It’s the longest day, and promises to be the best night out of the year!